Harry's Natural Daisy is a show mare that will take you to the ribbons. She was foaled on April 10th of 2001. is 15 hands has a front end reach that will catch the attention of every judge in the ring (my camera speed didn't do her justice). She gets the applause when she makes her pass in front of the crouds! She is owned by no other then Dwight & Charlotte Mathews. They raised her & have shown her for over 2 years. She has never placed lower then third. This past summer she was used for trail riding. She was ridden on some pretty hairy trails & never refused any task asked of her. To take a test ride on her or to just ask Dwight or Charlotte any questions about her give them a call at 417/345-5284. They are located near Long Lane, MO $2500. 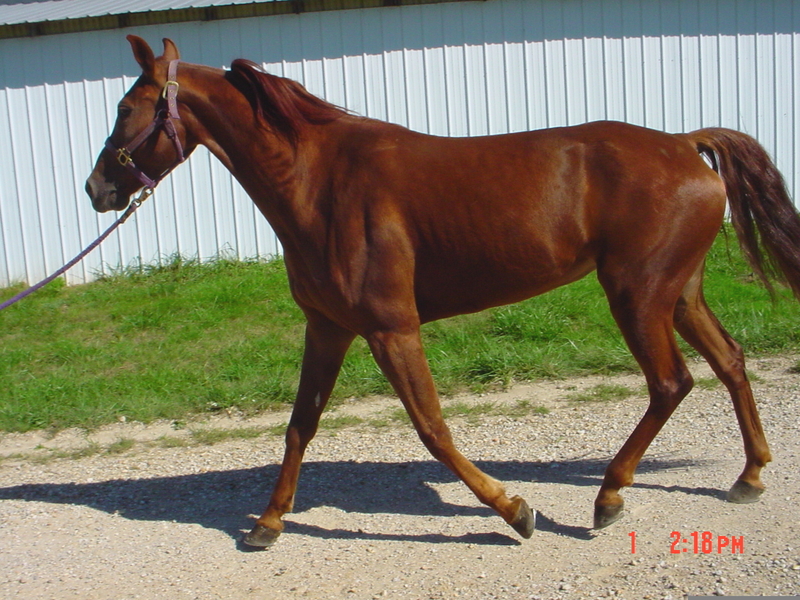 This is Bingo's Bay Lady M. She was raised & is owned by Dwight & Charlotte Mathews. She is blue papered & bred to be a show mare or fancy trail horse. Due to time constraints Dwight has deceided to sell her. She has a wonderful reach & is a very gentle mare to work with. She is very willing & easy to get along with. 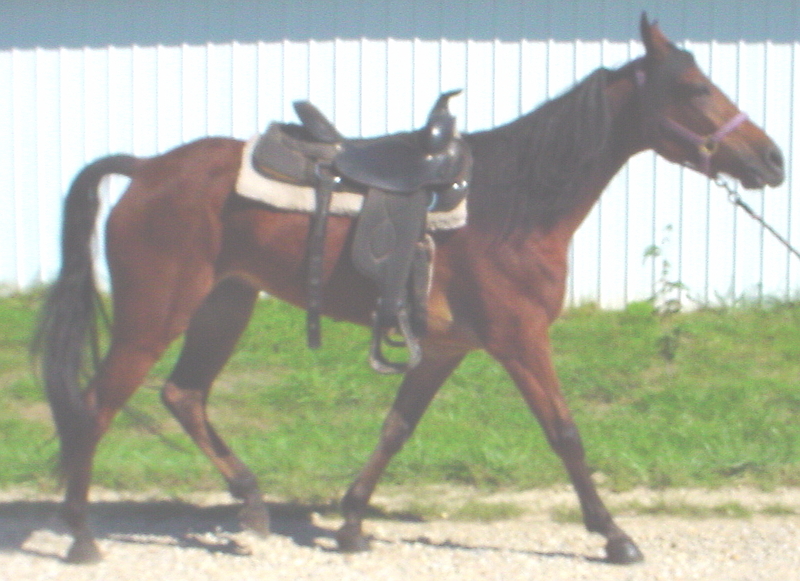 She is a nice mare to ride, she is friendly & pretty to boot!! Call Dwight & Charlotte to come & take a test ride or for more information 417/345-5284. I have more pictures if you want to email me but for more info on her you need to call Dwight. I promise if you actually make the call he won't bite!! Asking $2000.